Whether you’re listening to music or watching a movie at your desk, you can experience premium audio and deep bass with the Dell 2.1 Speaker System – AE415. 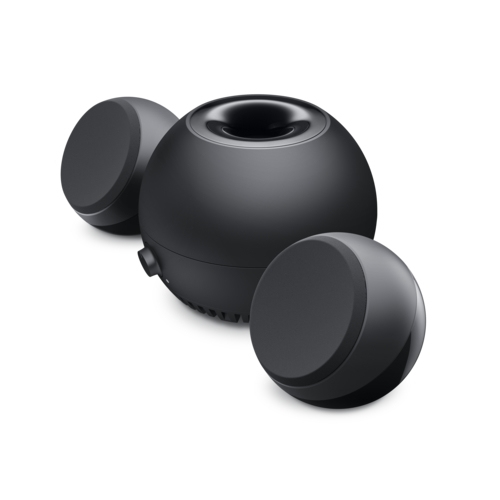 The Speakers easily fit almost any desktop setup, so you can enjoy enhanced acoustics whether you have a desktop or a notebook. You can now experience premium, room-filling sound at your desk with the Dell 2.1 Speaker System. Professionally tuned by award-winning Waves Maxx Audio®, the Speaker System delivers deep, enhanced bass with the down-firing subwoofer and impressive sound at 30W RMS. 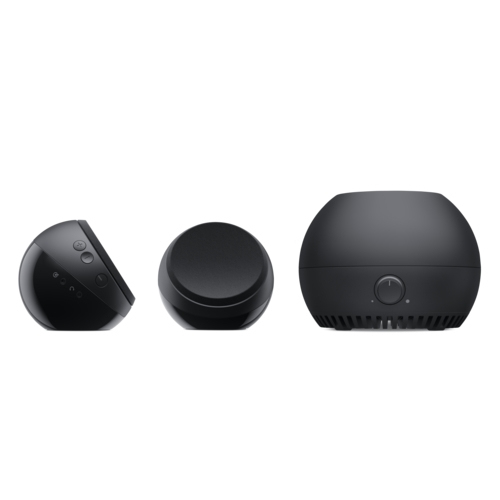 The Dell 2.1 Speaker System features a compact, modern design that fit in easily to almost any desktop setup. Whether you decide to place them just underneath your monitor or on either side of your laptop, you can enjoy premium sound without taking up too much space on your desk. The subwoofer is also a compact size, so it doesn’t take up too much floor space near your desk. 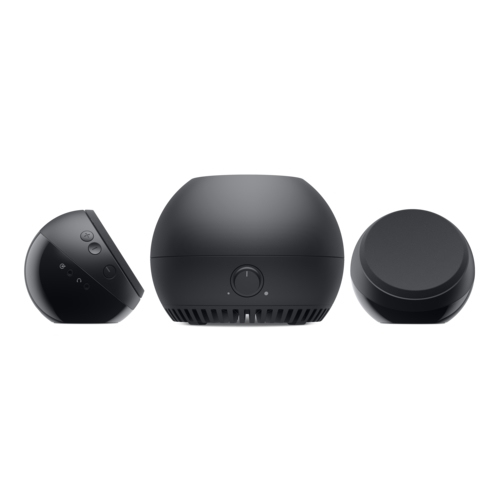 The Dell 2.1 Speaker System also features a headphone jack so you can plug in your favorite headphones for a private listening experience without interruptions. You can even plug in a secondary device so you can listen with a friend. The Dell 2.1 Speaker System – AE415 provides a high quality sound experience that fits neatly into almost any desktop setup. With premium sound professionally tuned by award-winning Waves Maxx Audio®, the speakers provide a crystal clear audio experience. Powerful down-firing subwoofers deliver a deep, enhanced bass perfect for watching movies or listening to music. 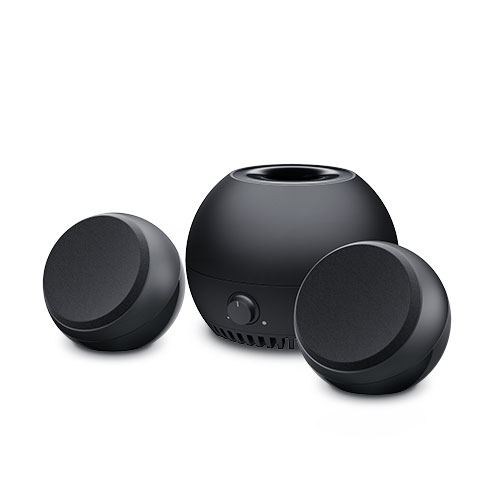 With a compact and modern design, the speakers deliver an enhanced sound experience without adding clutter to your desk. You can also plug in headphones for a private listening experience.